>>> What's a "Skyline Arrangement"? Start again. Slowly. What's a "Skyline Arrangement"? 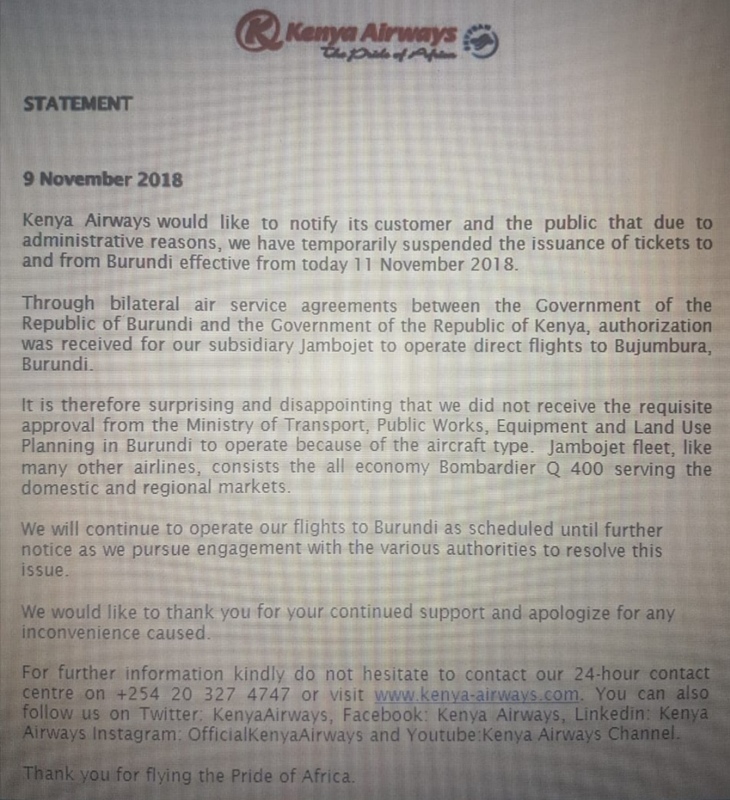 You said that the 2 planes will be leased by JJ but used by KQ. - Why would JJ, a KQ subsidiary lease planes for the parent KQ? - What's the deal with Burundi? What don't they want? - Without Burundi's permission, how can KQ fly to Bujumbura? - What's Sky Port? Altea? For that Skyline arrangement kusema ukweli sijui.... Il ask someone in supply chain. Maybe you missed the Burundi bit had talked about it earlier.... KQ is looking to fly a smaller plane... The best fit would be the Bombardier one class configuration... The govt officials in Burundi fly J class through and through and they are pissed off that they wont be getting that chance... So its either another plane or KQ stops flying huko. @maka.. I'm in Joburg whole of November.. Will reach out once back.. I believe its more like no one wants to sell.. But the jury is out. You could be right! Pride of Africa should not be flying to Mogadishu. Violence against the government of solmalia and the occupying forces is the order of the day. KQ is making itself a target of islamists. Remember in 2016 they tried to blow a Turkish airline plane using some briefcase bomb but didn't work. ET employs crazy security at Mogadishu Airport. 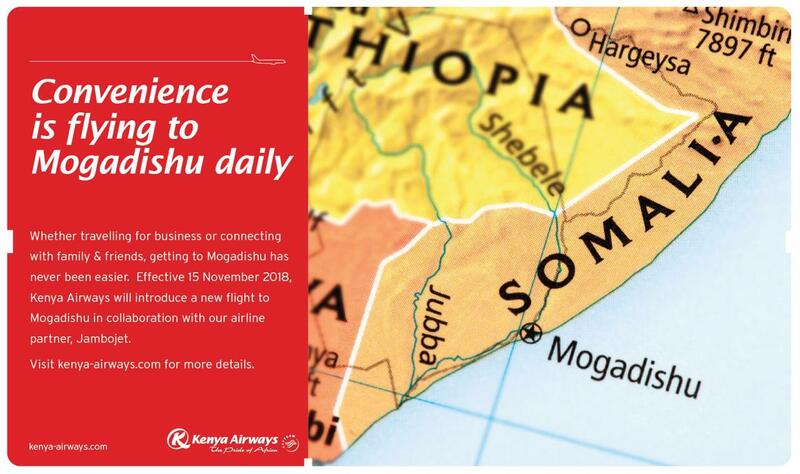 Who said KQ is flying to Mogadishu?